What Do You Call a Senior Center Without 'Senior'? As people age into their 60s, 70s and 80s, senior centers can offer a way to stay active and engaged. But many senior centers also suffer from an identity crisis. One Cape Cod senior center has been broadening its programs and activities to attract people who otherwise might never set foot inside. Instructor Carl Bertlesman demonstrates iPad settings at the Barnstable Senior Center. 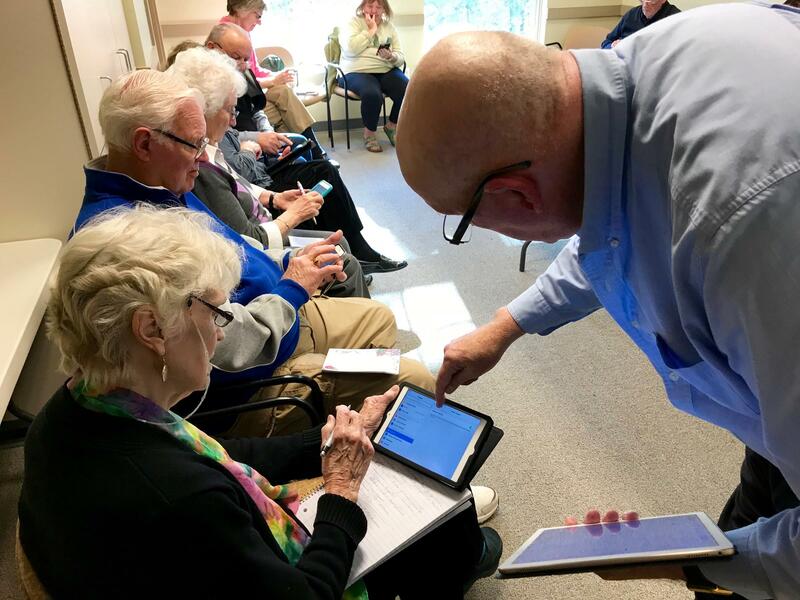 In a function room at the Barnstable Senior Center, Carl Bertelsman holds an iPad in one had as he runs through the settings on the device to a room full of seniors. Some of the 13 people in the room say they want to learn how to work iPads and iPhones to keep up with their social media savvy grandkids. But a class on mobile devices is the last thing the center might have offered only a decade ago. 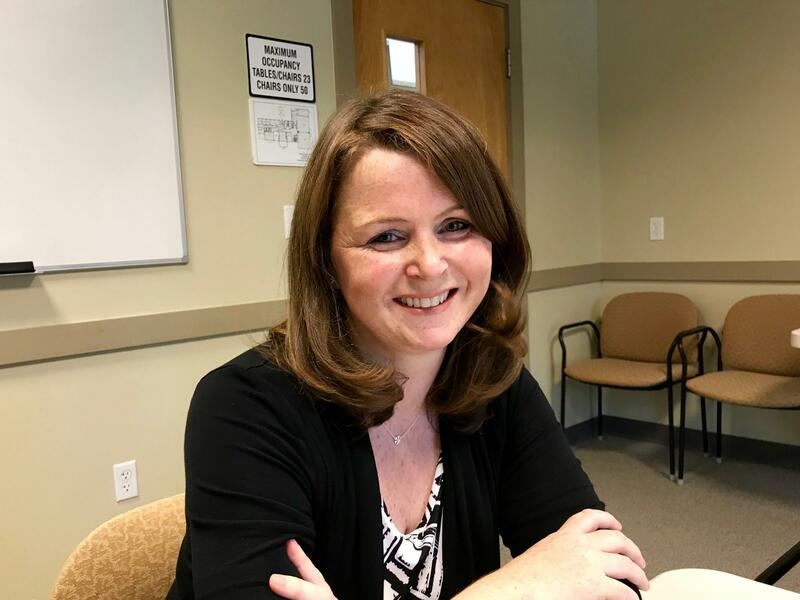 “Senior centers around the country have been steadily changing, and we are one of many that are trying to figure out how we evolve to continue to meet the needs of a whole different generation of older adults,” said Madeline Noonan, the Center’s Director. The center is a bright, airy facility with about 20,000 square feet of space. Noonan has overseen an evolution at the facility during her 10 years there, introducing high-impact exercise classes like Zumba, hula-hoop classes, and an African drumming class. Barnstable Senior Center Director Madeline Noonan. Those new trends also are taking hold at senior centers state-wide. Donna Popkin is with the Massachusetts Councils on Aging, a trade association for senior center workers. According to Popkin, the shift began in the early 2000’s, with a new focus on wellness and health. And as baby-boomers have aged into the senior population, there’s also a focus on things like estate and tax planning, or how to enroll in Medicare for the first time. Gary Sylvester is one of roughly 2,000 people who take advantage of programs at the Barnstable Senior Center. He’s been on the Cape for 30 years, and says getting new people in the door is key—especially those who may initially bristle at the idea of coming. 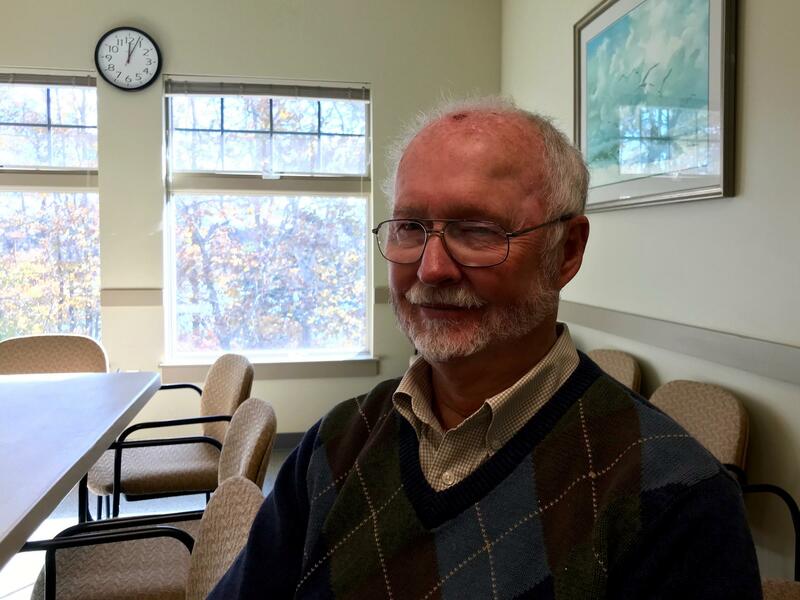 Gary Sylvester is one of about 2,000 people who utilize programs at the Barnstable Senior Center. Madeline Noonan wants to upend that mindset. She’s spearheading a campaign to change the name of the facility, removing the word 'senior.' A similar effort about a decade ago fizzled out. But times have changed, and Noonan is hoping that now may finally be the right moment. Jennifer Young is Director of the Center for Active Living in Plymouth. Five years ago, the town built the community a new 18,000-square foot facility. Young saw that as a perfect opportunity. “If we’re gonna look at changing the face of aging in Plymouth, this is the time to do it. You know, we need to change our name, change what we’re calling ourselves,” Young said. She says the name change campaign has been slowly evolving from the talking stages to reality. “It’s taken that long…from, sort of the whispers in the hallway of, ‘We’re actively living, we’re not aging, we’re actively living,’" Young said. Bobbi Field of W. Hyannisport works on a cardio drumming routine with instructor Maria Zombas. 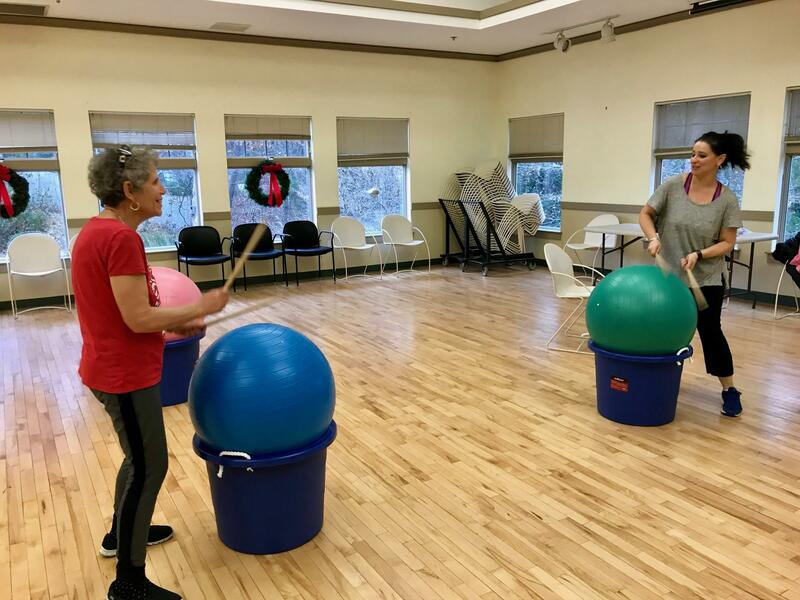 At the Barnstable Senior Center, Bobbi Field of West Hyannisport participated in a cardio drumming routine, working with instructor Maria Zombas. “I like something uplifting and fun—a lot of positive energy. You know, it’s not just for “senior” seniors. I’m gonna be 70 soon, so I’m maybe one of the younger seniors, I think,” said Field. Overall, senior centers on Cape Cod enjoy strong financial support from town governments. Several towns like Falmouth, Chatham and Dennis, are planning new or expanded facilities to meet the needs of an increasingly active senior population. Age 65 used to be the golden age to retire. But as guaranteed pensions dwindle and life expectancy grows, more people are working well beyond their 60s. The result is changing what it means to retire. The first installment of our series, “The Changing Face of Aging: Challenges and Opportunities,” introduces us to two mature workers who hope to bring home a paycheck for years to come. We’re not just living longer than previous generations; how and where we’re living in our later years is changing as well. What are some of the reasons the life of seniors today is different from previous generations, and how are we and our communities adapting to those changes? Three-quarters of Americans over age 45 live in single-family homes, according to AARP. As homeowners age though, it can become increasingly difficult for them to remain in their homes safely. In recent years, a growing number of people have begun retrofitting their homes with new safety features and technology to help them live in their homes longer.